As stewards of taxpayer money, government leaders must always strive to get the most value possible out of every investment. Fortunately, technology is fulfilling its promise of reducing costs and increasing efficiencies. Hewlett Packard Enterprise delivers reliable, scalable solutions that drive better performance and value. 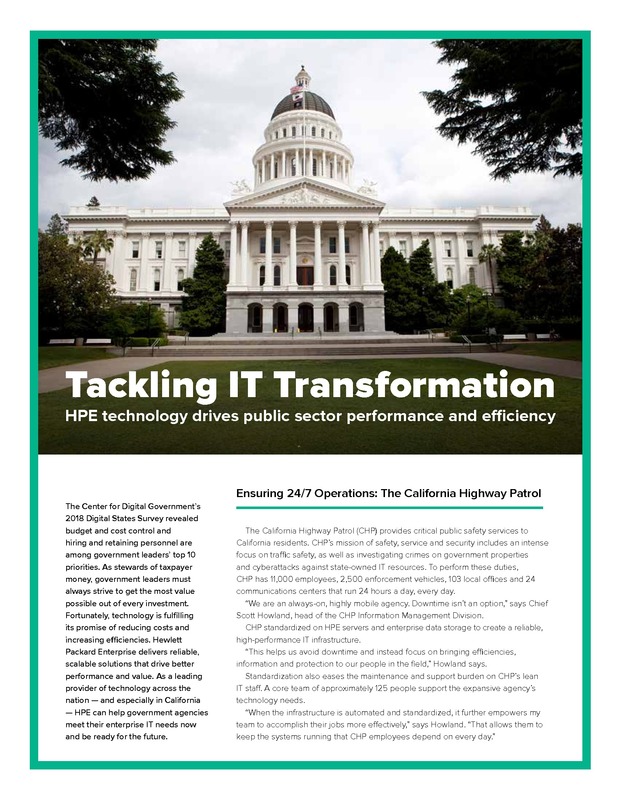 As a leading provider of technology across the nation — and especially in California — HPE can help government agencies meet their enterprise IT needs now and be ready for the future. Download this paper to learn how.